wer your blood sugar - sleeping. The amount of sleep you get affects the release of glucagon and insulin (hormones that regulate your blood sugar levels). Blood glucose increases with the secretion of glucagon and decreases with the secretion of insulin. While getting enough sleep allows your body to keep your blood sugar levels within healthy parameters during your waking hours, failure to do so could lead to several issues, including Type 2 Diabetes. Losing sleep can wreak havoc on blood sugar regulation. The National Institutes of Health tells us that “Chronic sleep loss, behavioral or sleep disorder related, may represent a novel risk factor for weight gain, insulin resistance and Type 2 Diabetes.” Numerous studies suggest that not getting enough sleep or having interrupted sleep, may worsen control of diabetes and increase overeating. Additionally, studies have found that people who sleep less than six hours a night have a higher risk of developing impaired fasting glucose. 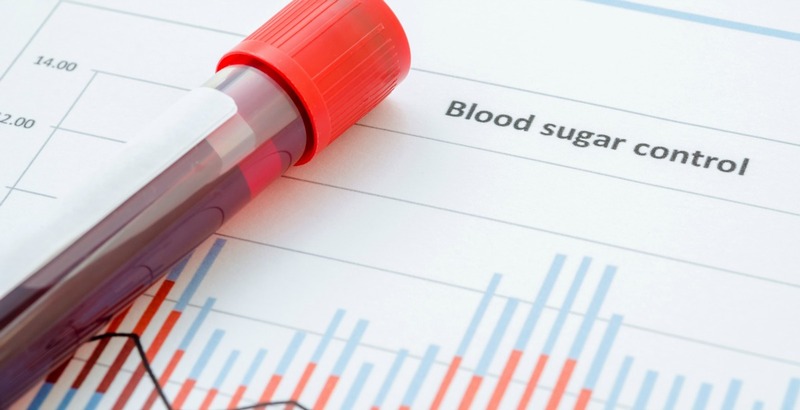 Damaged fasting glucose levels are a telltale sign of pre-diabetes and a precursor to Type 2 Diabetes. Furthermore, researchers discovered that participants who had normal fasting glucose and slept an average of less than six hours a night during the work week were almost 5 times more likely to have impaired fasting glucose after six years of observation than those getting six to eight hours a night. Sleep deprivation may also increase free fatty acids in healthy individuals, which inhibits insulin from regulating blood sugar levels and, in turn, can lead to Type 2 Diabetes. As you can see, sleep isn’t just important for you overall productivity during the day, it really has a major effect on your overall health (including blood sugar).